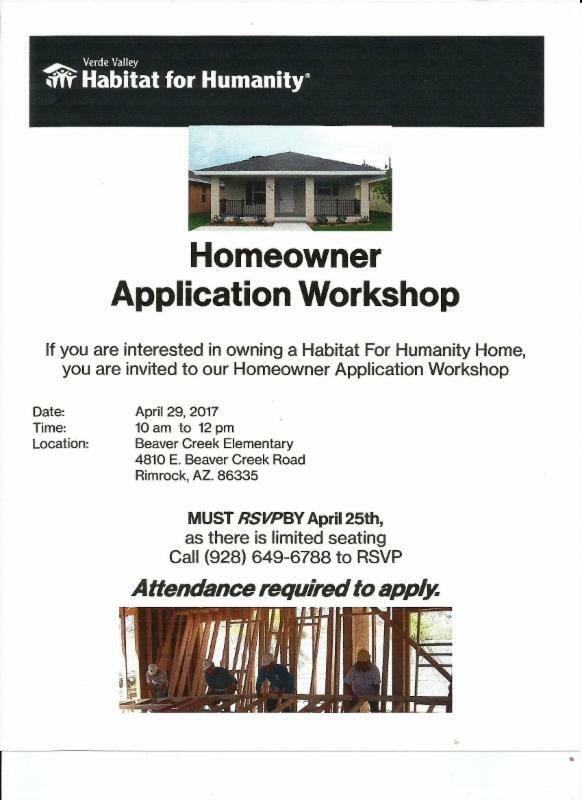 Saturday, 4/29–The Application Workshop for those interested in owning a Habitat for Humanity home is from 10 AM to Noon at Beaver Creek School. Please read the flyer below and RSVP asap! Attendance is required in order to apply for a home. Attention Rimrock, Lake Montezuma and McGuireville (Beaver Creek) residents. Please come meet and listen to presentations from Yavapai County Supervisor Tom Thurman and Sheriff Scott Masher on Tuesday April 25 at 6 PM at the Montezuma Rimrock Fire Station on Beaver Creek Rd. Supervisor Thurman will speak on the “State of the County” and cover Legislative Items and the Yavapai County Budget. The Beaver Creek Kiwanis host the event. The Culpepper & Merriweather Circus performs this Thursday evening as a fundraiser for afterschool activities at Beaver Creek School. Please come enjoy two live shows at a big top circus. It arrives at the school at 6:30 AM on Thursday. Free tours of the circus camp will be given throughout the day. 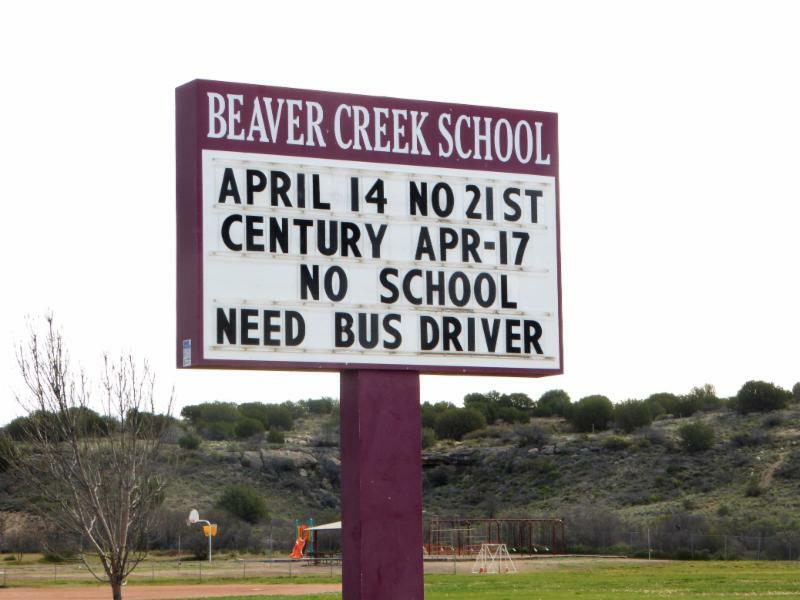 Show times are 5 PM and 7:30 PM on Thursday, April 20, at Beaver Creek School located at 4810 E Beaver Creek Rd in Rimrock. Child/senior tickets are $7 in advance and $8 Circus Day. Adult tickets are $10 in advance and $13 Circus Day. Discounted tickets are still available today at Beaver Creek School and Kiwanis Clothes Closet until 3 PM and at Rimrock Resale Thrift Store and Beaver Creek Traders until noon. Thank you to these local businesses and to Cricket’s Restaurant and Candy’s Creekside Cottage which also sold tickets. Contact Carol Keeton, BC Kiwanis President, at 928-606-4050 for further information. Tickets may also be purchased and donated back to be given to children and seniors who would not otherwise be able to attend. Adjournment. The next association meeting will tentatively be on Monday, May 8th at 3 PM in the Beaver Creek Adult Center.